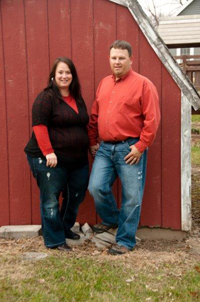 Shelly owns ServiceMaster Cleaning Services with her husband Robbie. "We want to remove the hassles of cleaning for our clients, which allows them to focus more of their time on what product or service that they provide to their customers." For the Bodsbergs, commercial cleaning and janitorial services are a family affair. Shelly’s sister and Robbie’s brother are also married and own another ServiceMaster franchise in the area. "They focus more on the restoration side of things, so we don’t really compete with each other," says Shelly. One of the company’s values is to treat the clients like family. The Bodsbergs bend over backwards to make sure that each client is completely satisfied with the service they receive. That’s why Menomonie area businesses continue to make ServiceMaster Cleaning Services their choice for commercial cleaning and janitorial services. We serve the following areas: Menomonie, Rice Lake, Spooner, Hayward, Ladysmith, Grantsburg, and Eau Claire, WI. Contact us today!